Home » Articles » Who is Another comforter? 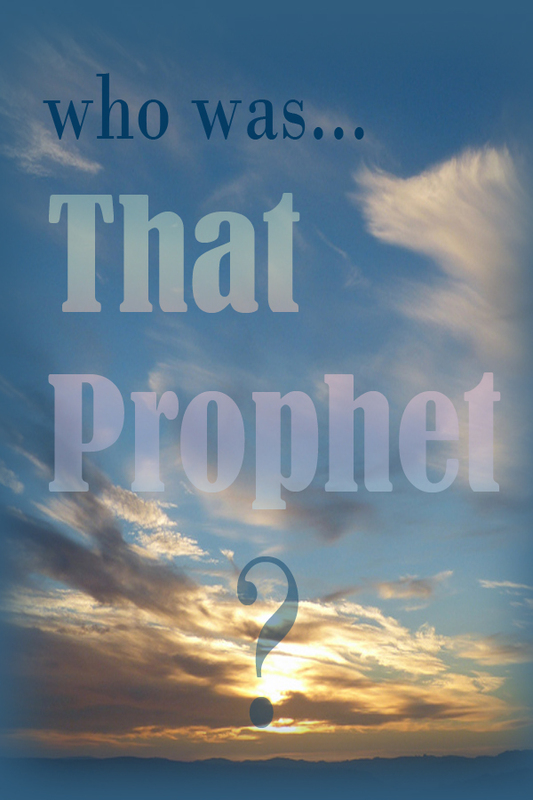 » Who was “That Prophet?” about whom Jews were eagerly anticipating along with John and Jesus? Who was “That Prophet?” about whom Jews were eagerly anticipating along with John and Jesus? Jews had been in anticipating before the birth of Jesus not only for the advent of John and Jesus according to the prophecies but they have eagerly looking forward for the advent of the third person “That Prophet” promised in the prophecies which we can see in the flowing inquiry of the priests sent by Jews to John. On careful examination of the above verse it can be well ascertained that the then Jews were looking forward for the three persons those are- 1. Jesus 2. Elijah 3. That Prophet. What the reason behind the eager anticipation of Jews for the advent of the promised That Prophet is that- it had been mentioned about his advent in the following prophecy. The Apostle also had mentioned about the advent of “that prophet” according to the above prophecy after Jesus having ascended to heaven as follows. However what the argument of the preachers is that- The promised that prophet is none other than Jesus. But what important to note is that Jesus himself refutes that he was not that prophet about whom the promise was made in prophecy. According to the above verse is can be well understood that there was a confusion raised among the people regarding Jesus that whether he was Messiah or promised that prophet! Now let us see what Jesus has given the clarification to take away their confusion towards him in the following verse. 0 Response to "Who was “That Prophet?” about whom Jews were eagerly anticipating along with John and Jesus? "